all of her children? are you sure? I may be a bit biased, but all that modernity and forwardeness didn't help Marie when it came to her children, who ended up being spoiled brats and incompetent royals, whereas as Sophie's children were all dutiful and played their roles satisfactorily. Laurra would you mind to explain what you mean pls? sorry ..i asked if he's sure all of Marie's children were as he describes them. On the common photos with the Royal Family of Romania, we often sees sitted Princess Irene of Greece near to Prince Nicolas of Romania. Did they have feelings one for the other and if so, why they did not marry ? There were rumors of an engagement but I don't think their own feelings were engaged and the quickly apparent disasters of the other 2 Greek/Romanian couples might have put an end to any chance. Yes...Irene & Nicholas was briefly engaged, but broke it off soon after. Anyone knows more about realations between Serbian and Greek Royal Families? King Peter II of Serbia married King Alexander of Greece's only child, Princess Alexandra. They had one son, Crown Prince Alexander of Serbia, the pretender to the throne. Also Paul of Yugoslavia (serbia) married Princess Olga of Greece. Thanks for informations but when i ask for realations between two families i mean for the present time, and i think that arent good. i wish to have wrong..... Any informations about the realations between HM Konstantinos and CP Alexander of Serbia? H.M Konstantine was best man to C.P Alexander and C.P Katherine at their wedding, plus they are also cousins. What makes you think there's a rift? I think he is just inquiring. Although there seem to be a rift between CP Alexander of Serbia and his cousin Prince Alexander of Serbia. 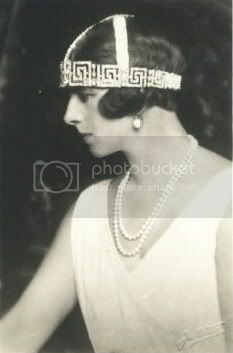 I have just read that Princess Alexandra of Greece,Queen of Yugoslavia hated her cousin and sister in law Princess Margarethe von Baden...anyone knows something about this? I think Queen Marie also stated in her book (now it's been a while since i read it) but she blamed a lot of the Personality deficiencies on Queen Elisabeth, and all the interference she caused with both King Carol II, & and HRH Princess Elisabeth (later queen of greece). That being said, I think HM Queen Helen did an awesome job raising HM the King the way she did. The Fact that the King hasn't publicly berated or trashed his late father says a lot about his own character. HM the King said it best to his grandmother : "I have learned not to say what I feel, and to smile at those I most hate." In every picture with Carol, you always see Michael Smiling. IMO, also the fact that Iuliu Maniu made Carol grant Helen the title of Her Majesty The Queen but carol changed it to Her Majesty Helen, and then became punitive with her b/c she would not oppose the Governments decision to annul the divorce. The Gvt of the day imo showed that HM Queen Helen was in a lot more favor that Carol. No idea about the hate between Alexandra of Yugoslavia & Margraita of Baden. Think they marry brothers and were sisters-in-law. Helen never became Queen Consort of Romania. She was Crown Princess Helen of Romania, and later after the divorce given the title HRH Princess of Romania. After her son took over, Helen became officially HM Queen Mother Helen of Romania.